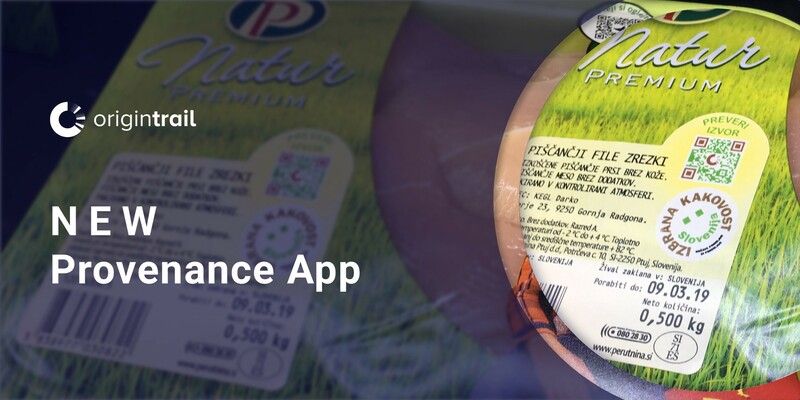 Perutnina Ptuj, the largest poultry producer in Southeastern Europe, just launched a new nOS-based provenance app powered by the OriginTrail protocol! Consumers can now verify data about Perutnina Ptuj products on the blockchain. Consumers purchasing Perutnina Ptuj’s packaged products from their Premium Poultry Breeding range, can now — using their smartphones and the OriginTrail blockchain protocol — be sure of the local origin of the products and learn more about breeders and conditions on the farms. Each product comes with a QR code, which can be easily scanned with any smartphone. Once a consumer scans the code, they will be prompted to enter the shelf life of their product and the LOT of the product number indicated on the packaging. The exact location of the farm where the poultry for their product were bred and a description of the breeder will then be displayed to the users. They can learn more about the conditions of poultry-friendly breeding specialties, watch a speech by the breeder, and look at the premises on the farm. OriginTrail and Perutnina Ptuj presented their first mobile app for displaying origins for iOS and Android platforms in 2014. This new solution brings the traceability approach to a wider base of customers, as it does not require the transfer of a specific application, but is web-based and easy to operate on any phone that can scan QR codes. Customers can also check product origins via the website at https://www.perutnina.si/en/quality/know-your-food/. In addition, all data is protected by blockchain technology, which ensures it can no longer be changed once it is entered into the system. Copies of data are stored on the OriginTrail Decentralised Network which is connected to the Ethereum blockchain. The app now includes a Verify on the Blockchain button, which leads the user to the OriginTrail Network Explorer. The Provenance app is one of the many available to businesses through nOS, Network Operating System, developed by Trace Labs — OriginTrail Core Developers. nOS is a hub for open industry data exchange, combining the benefits of the blockchain, global standards, and enterprise-grade software. It provides a single interface for connecting, rather than replacing, existing legacy IT systems with different blockchain ecosystems and the OriginTrail protocol. Learn more at https://tracelabs.io.